Each Tuesday, Derek Dorsett is greeted by the familiar sound on his cell phone, a weekly reminder of the date he underwent surgery. And every time the 30-year-old hears that ping, it inspires him to find his way back onto the ice and to the game he loves. In early December, two weeks before Dorsett’s birthday, the Canucks announced the winger would have a procedure done to repair a disc degeneration in his neck. Not long after, the Saskatchewan native took to Twitter, posting a smiling photo of himself wearing a neck brace, accompanied by words of praise for the medical team who performed the surgery at the spine clinic in Los Angeles. (1/3) Been a tough week with a hard decision for surgery but would like to thank the @Canucks org, teammates and fans for all the support! (3/3)Can't wait to start rehab and be 100% healthy and ready to play again. Going to miss being on the ice and competing with my teammates. So, too, is the player. Still, admittedly, it hasn’t been easy for Dorsett to sit on the sidelines, cast into the role of spectator instead of participant. It’s also more tolerable, Dorsett noted, when you have the opportunity to be around your teammates. Support since the surgery has come from expected sources along with some unexpected ones. There have been a few occasions where Dorsett, walking the halls of Rogers Arena, has run into a rival player that he’s never met before. You won’t hear any trash talk in those exchanges. “At the rink, guys coming through town will see me in the hallway – guys I didn’t play with or even know – and they wish me well, tell me to heal up and get back out there,” said Dorsett. “The support from the entire hockey world has been great. It’s been the same thing from all my family and friends, too. Two months after the surgery, Dorsett is buoyed at being able to do more and more each day. His most difficult challenge is resisting the urge to try and speed up the process. That’s hardly an easy task for a player whose game is built on tenacity and physicality. The player known for always answering the bell knows he has plenty of people in his corner. Walks down Vancouver streets are just one reminder of that. 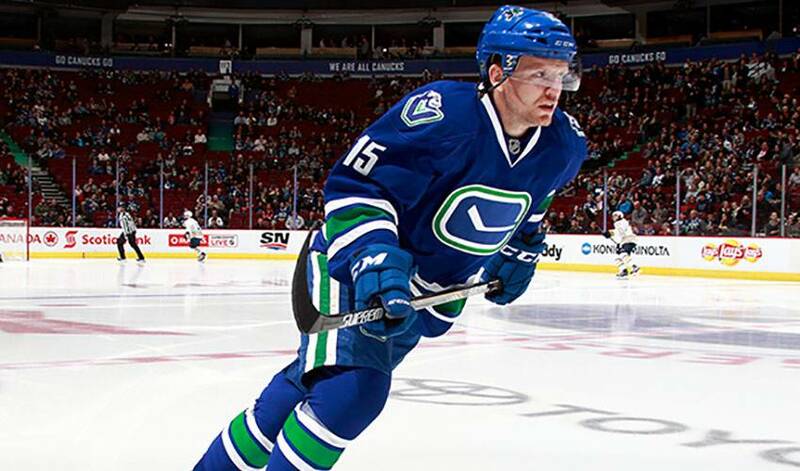 Dorsett is counting down the days until he can stick out on NHL ice. He’s comforted in knowing he won’t have to walk it alone.